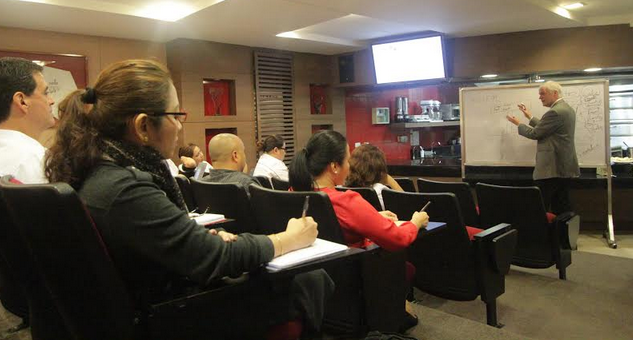 After 20 years, culinary industry expert Dr. John Knapp returns to Manila. Find out why. 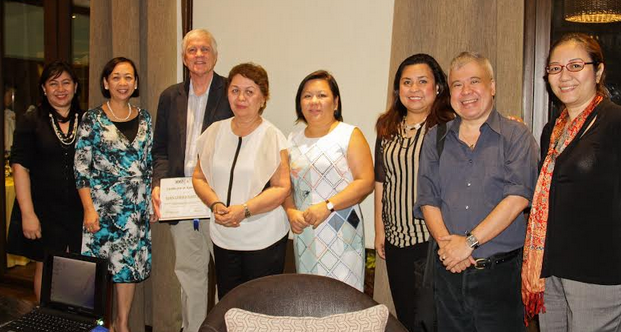 In its aim to sustain its mission and to upgrade its learning objectives, the Center for Culinary Arts, Manila (CCA, Manila) has once again collaborated with respected industry expert, Dr. John Knapp, for the re-validation of its program curriculum. In his more than 30 years of career, Dr. Knapp has assumed various responsibilities and developed expertise related to three broad domains, namely workforce development; organization-level design and governance; and project management, monitoring, and evaluation. He has led organizations in various countries. He was also instrumental in helping establish the first culinary education institution in the Philippines—CCA, Manila in December 1995. As a former chief consultant from the Northern Alberta Institute of Technology (NAIT), Dr. Knapp helped lay the foundation for the CCA Curriculum, ensuring that CCA courses were designed to meet industry requirements. He also helped develop an occupational profile of a chef, which formed the basis for curriculum and program design. Together with the leadership of Cravings Group Founder & President Susana ‘Annie’ P. Guererro, the institution has evolved to become one of the country’s top learning centers for honing world-class professional chefs. After 20 years, Dr. Knapp has returned to the country. He conducted a one-month program re-validation workshops for CCA, Manila and its sister school, the Asian School of Hospitality Arts (ASHA). He was also tasked to gauge the competency levels of faculty and management, and at the same time develop new systems and industry-driven strategies to update the current curricula. “Dr. Knapp was highly recommended by NAIT then because of his in-depth knowledge and experience in handling the DACUM (Developing a Curriculum) process. It involves facilitating a focus group discussion among employers to capture the major competencies needed in a specific profession, as well as the necessary knowledge, skills, and attitude,” said Badjie G. Trinidad, CEO of The Cravings Group. 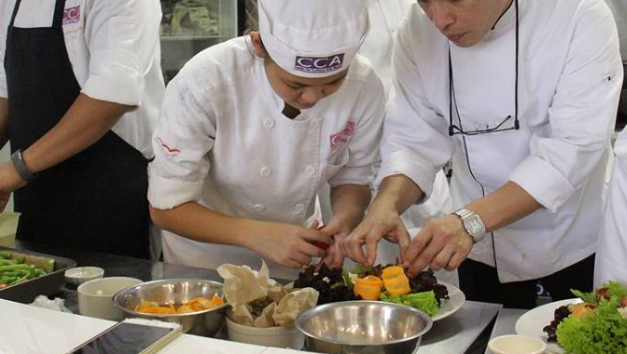 “Being the leading provider of professional culinary education in the Philippines, CCA and ASHA Chancellor Dr. Veritas Luna and I only had one person in mind (Dr. Knapp) when we decided that it was time to revalidate our programs,” she added. During Dr. Knapp’s series of workshops with various stakeholders in the restaurant and hospitality industries regarding skills matching and job hiring practices, he was able to deduce data on preferred graduates’ competencies, including feedback and suggestions for the enhancement of both CCA and ASHA graduates’ skills and employability. According to Dr. Knapp, for graduates to be successful, the academic programs must meet both the needs of the students and industry. “Employers expect graduates to possess a solid and practical understanding of the industry. Apart from excelling in academics, students need to develop the right sets of technical and practical skills, as well as communication skills and professional work ethic to be adequately prepared for the demands of the industry,” he said. Following these workshops, CCA, Manila and ASHA can work on incorporating the necessary curriculum enhancements to keep the academic aspects relevant and comprehensive, and the professional faculty and management side effective. Put together, this prepares both culinary and hospitality graduates really well for future careers. Dr. Veritas Luna, Chancellor for Education of CCA, Manila, also agrees that the validation brought a new focus to CCA and ASHA, at the same time reinforces continuation of that focus into the future. As for the next crucial steps for CCA and ASHA after Dr. Knapp's visit, Dr. Luna said that both institutions will be implementing the recommendations on an on-going basis, starting with institutionalization of the Program Advisory Committees (PAC) for all its academic programs. “There’s really a need for the new changes. For CCA to stay abreast with global trends and to effectively facilitate the learning needs of our culinary students, we are empowering our people to lead the transformation of our academic programs,” Dr. Luna said. “The momentum of CCA is there, it just needs to sustain its right direction. It also needs to continue its accreditation programs, being exposed to more organizations for partnerships and collaborations. 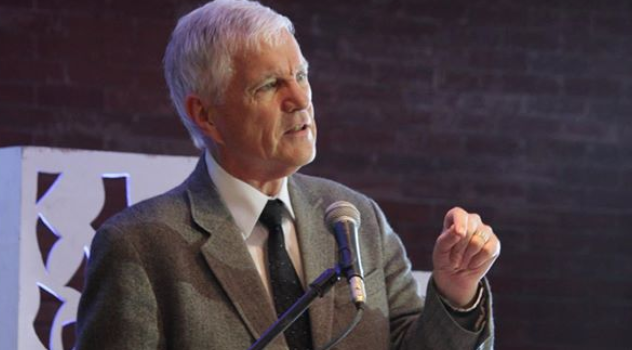 The bottomline is, CCA is well-poised for greater heights,” Dr. Knapp concluded. For inquiries on CCA, Manila, call 218-8566 or visit its Website.